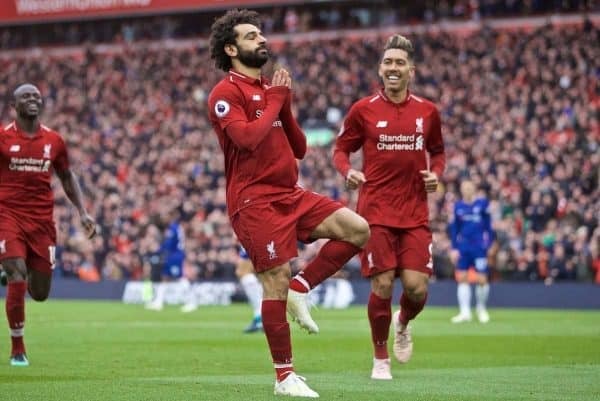 The media praised Liverpool for exorcising ghosts of 2014 and delivering such a dominant performance under pressure in the 2-0 win over Chelsea. The Reds produced a stunning response to Man City’s earlier win at Crystal Palace with a fantastic three points to regain top spot. 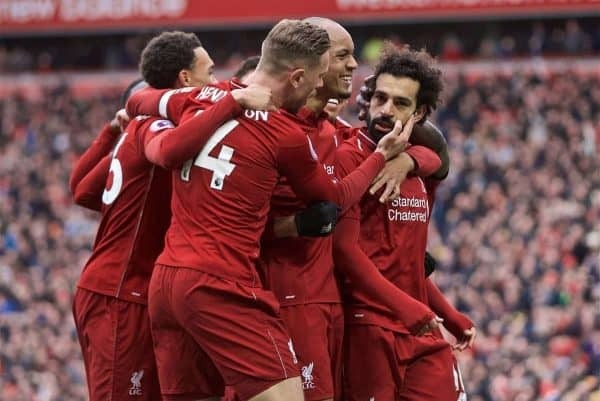 A blistering second-half display saw Sadio Mane score a header and Mohamed Salah almost break the Kop end net with one of the goals of the season to earn the crucial victory. 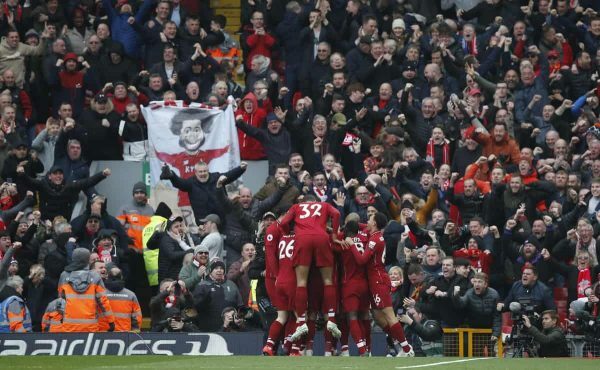 It was a superb performance from every single player, roared on by an incredible atmosphere at Anfield, and Liverpool are going nowhere in this final sprint for the title. Here is how the media assessed the victory. 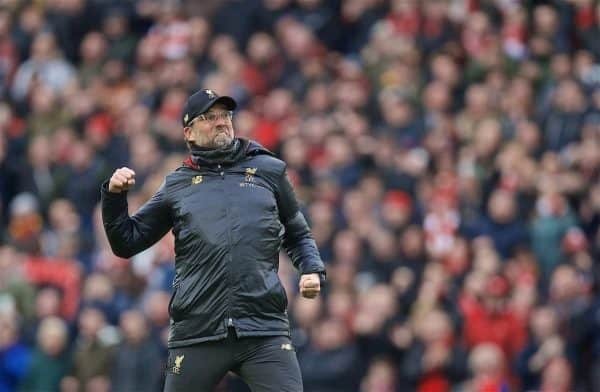 “Despite taking time to find their opener, Jurgen Klopp‘s side were patient, controlled and assured as they avoided any slip-ups this time around. “The class of 2018/19 proved they really are a different beast. “What is happening this time feels materially different. 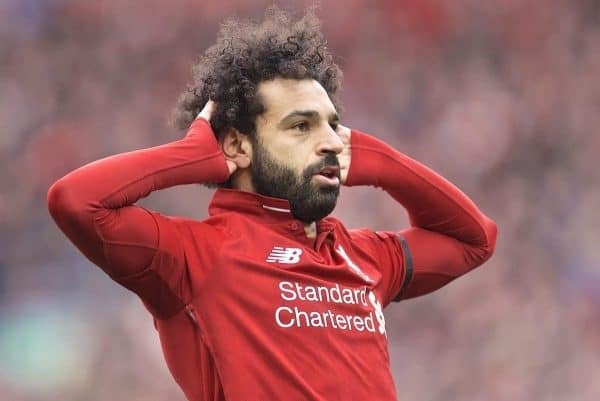 “There are many ways in which this Liverpool team is different to the 2014 one, not least in terms of experience, but the approach of fans and the club has changed too. “In short, City have no margin for error and although they have won 12 of 13 league games in 2019, the pressure on them to keep winning is becoming more and more intense. “Sunday evening, Anfield, it was the latter: the Reds were in control throughout and rarely looked troubled, save for 10 minutes after going two up. “Liverpool, though, did not allow themselves to be overcome by either. 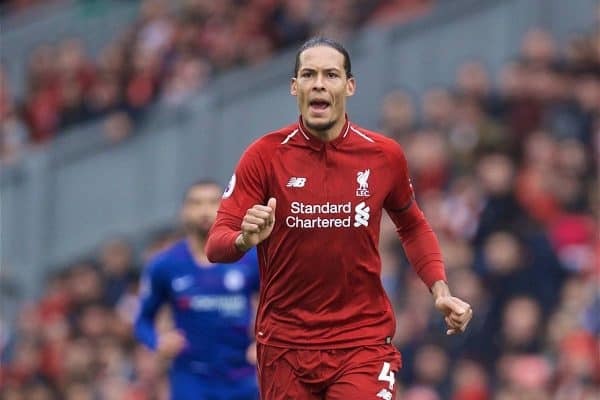 “This time, however, Liverpool refused to fall into the trap, showing the patience and quality that eluded their predecessors at the vital moment five years ago. 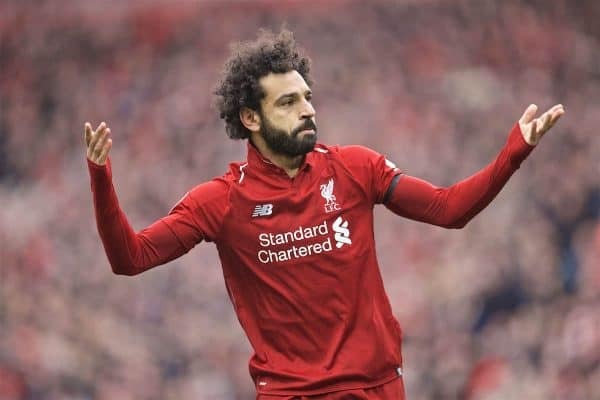 “The Egyptian has scored some memorable goals since joining Liverpool, but usually opts for a deft curl or gentle sidefoot in sending the ball into the back of the net. “Liverpool have now come through the toughest period of the run-in unscathed. 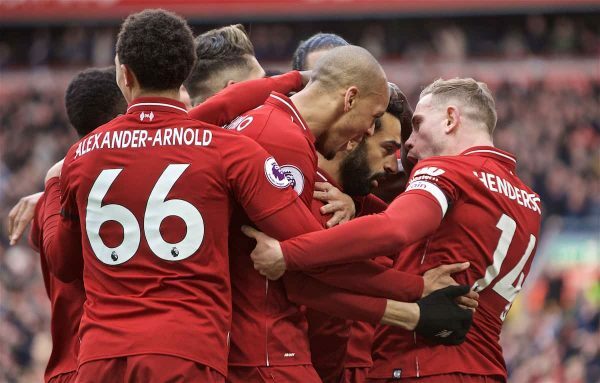 “A midfield of Naby Keita, Jordan Henderson and Fabinho has energy, creativity, nous and steel – the ingredients of a perfectly balanced engine room. 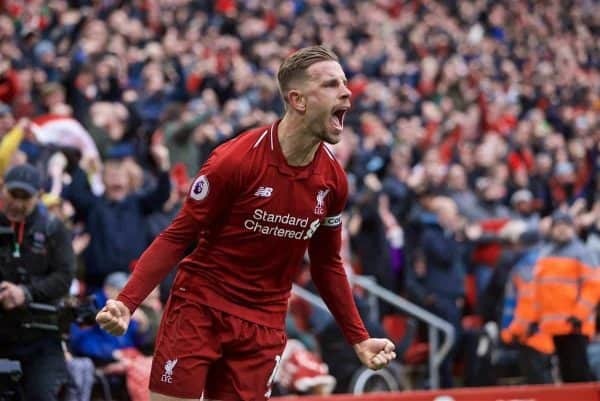 “Is the biggest single mistake Klopp has made as Liverpool manager playing Henderson as a No. 6 for two-and-a-half years?